Robert Enright, University Research Professor in Art Theory and Criticism, is one of Canada’s most prominent cultural journalists. He was the founder and is currently the senior contributing editor to Border Crossings magazine. He has received fourteen nominations at the National and Western Magazine Awards for his writing in that magazine, winning four gold and two silver medals. He was an art critic for CBC radio and television for 25 years and has been a frequent contributor to the Globe & Mail. He has also published articles and reviews in frieze, ArtReview, Modern Painters, ARTnews and Contemporary. Professor Enright collaborated with Arthur Danto on the book, Eric Fischl: 1970-2000, (and a 2008 updated second edition), and published a collection of 32 interviews under the title Peregrinations: Conversations with Contemporary Artists. He has also contributed essays, introductions and interviews to 100 catalogues in Canada, the U.S., and Europe. 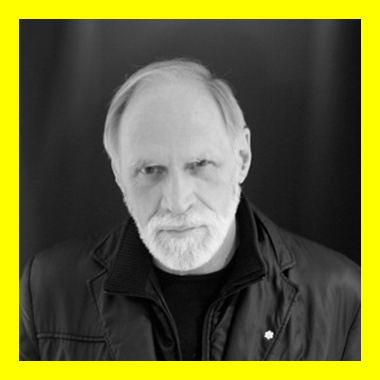 He is a nominator and contributor to Vitamin D2 and Vitamin P2 and sits on the jury for the Scotiabank Photography Award. In 2005, Enright was made a Member of the Order of Canada.